Here’s an interesting one from a shop called Vintage-Steel out of Germany. 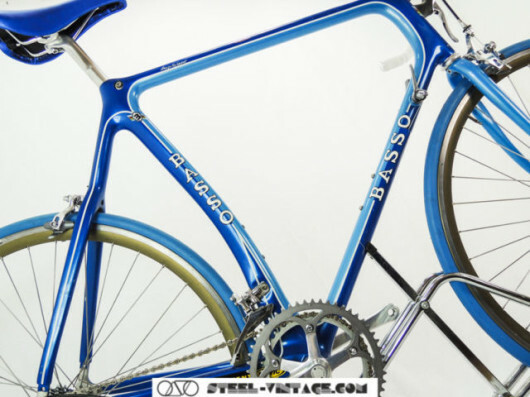 Its a ’92 Basso Laguna which was their first monocoque carbon frame but it was built in Van Buren, Maine by Aegis. This frame wears a Dura Ace 7400 groupo and all looks to be in nice shape. Check out www.steel-vintage.com for a wide array of cool old bikes.